While we appreciate our ability to be mobile (and we’re able to do more with mobile tools than ever before), as I previously posted, we also love to come back to a well-designed workplace (I love my job). As the mobile world has gotten better, so has the old homestead. Below is the 2012 version of the robust office. In the 2012 version, you see the wireless charging pad, but not my Nokia Lumia 920 (WP8) because it was used in taking the picture. 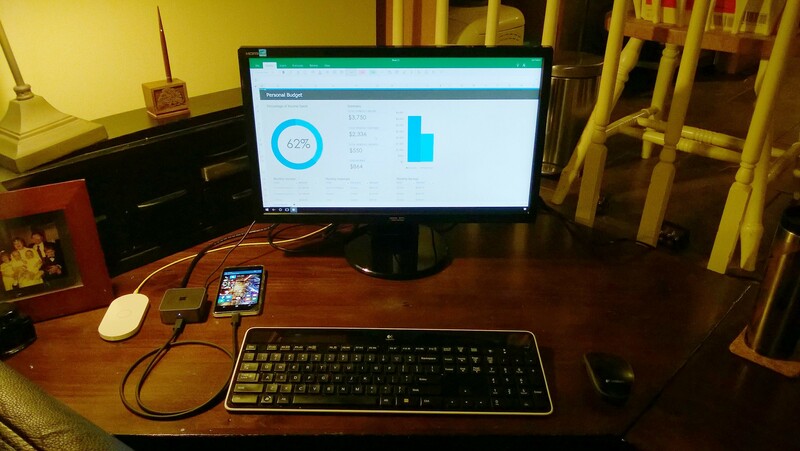 The 2015 version shows my more powerful Microsoft Lumia 950 (WP10) on the same charging plate. I went from a good but bulky mouse to a trim mouse the uses Logitech’s unifying system, which allows me to use the same USB receiver for up to 5 devices; the keyboard used the same one. Improved monitor and monitor stand – both flattens out the monitor viewing and declutters the stands. 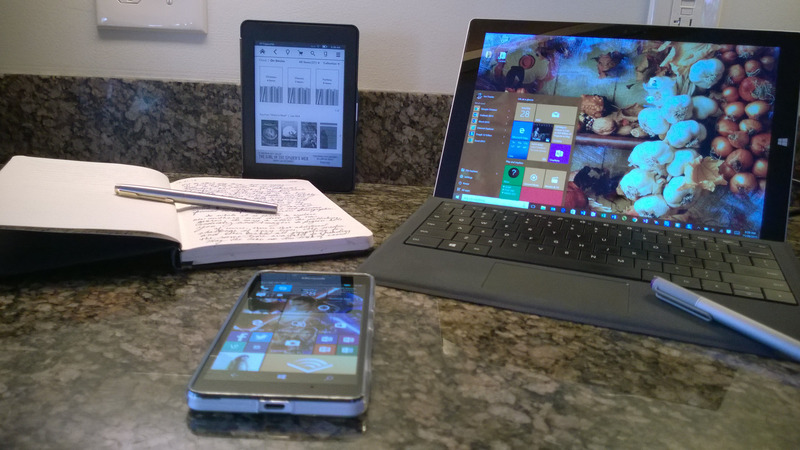 Move to a Surface Pro 3 with a docking station. Provides a third monitor and helps on the mobile side of things. Logitech Keyboard using the unifying system. A couple of other small updates is the Microsoft LifeCam for conference calls, an updated Plantronics wireless headset and the oh-so-necessary Lava Lamp. (Our gecko friend was on vacation, but still here). 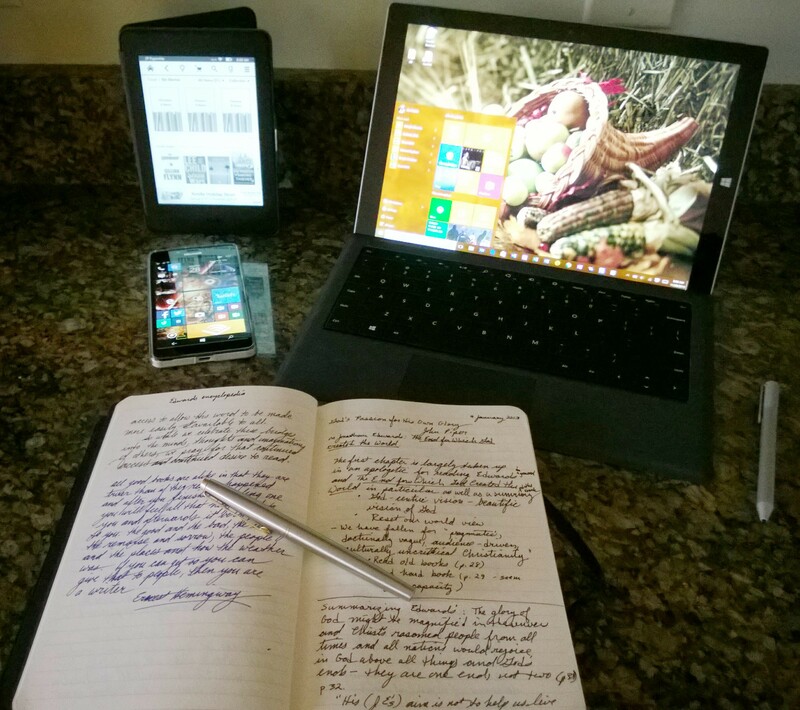 What’s not shown is what I no long need separately – the Surface RT I had. Now I have one device that replaces two which is actually more capable than both. 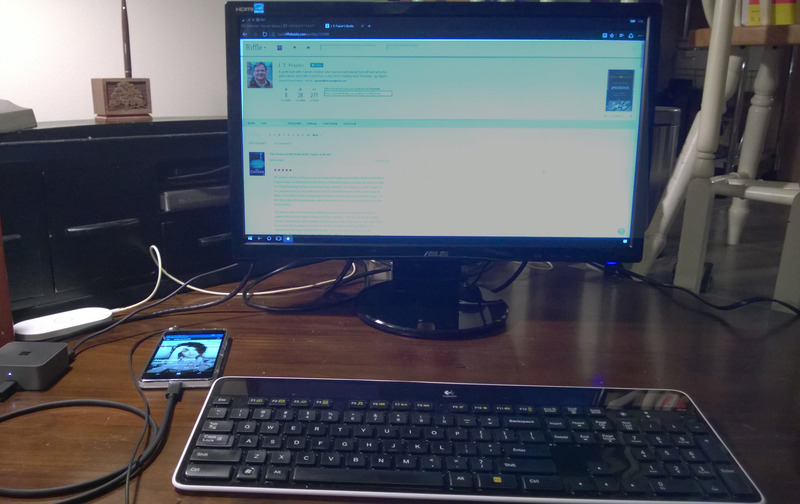 I also moved from Windows 7 to Windows 10 (and ran Windows 8.1 in between).